With the rise of consumer demands for highly personalized products and services comes the necessity of creating a unified brand experience. Research shows that a cross-channel marketing strategy delivers 3X more effective campaigns and 23X higher rates of customer satisfaction. In Iterable’s Cross-Channel Engagement Benchmark Report, we demonstrate that brands continue to prioritize email above mobile, web and direct mail messaging. We surveyed 200+ Iterable customers (49% Enterprise & 51% Mid-Market)to learn which channels and campaigns had the most success in 2018. 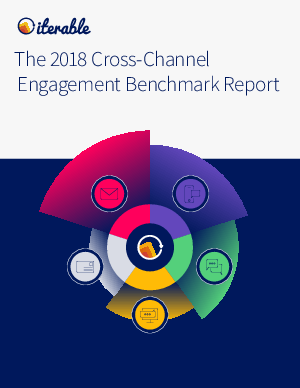 To find out the results, download a copy of our hot-off-the-press — 2018 Cross-Channel Engagement Benchmark Report.